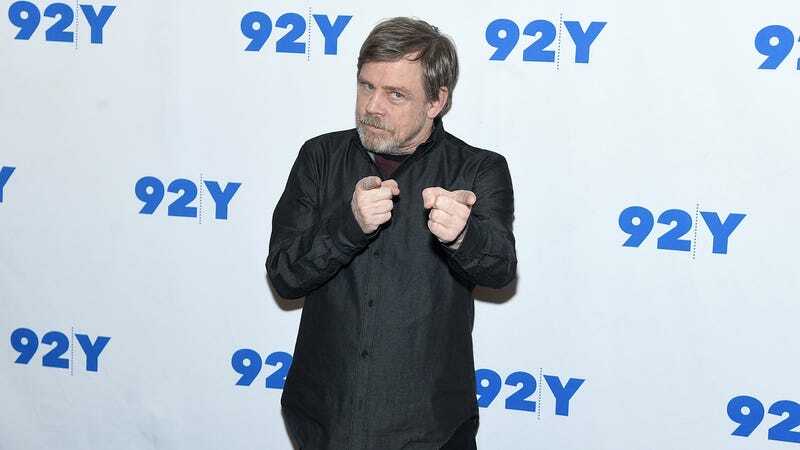 Mark Hamill’s gregarious lack of filter has largely been a joy for Star Wars fans, as the actor happily shares details of creating the beloved fictional universe even when he later wishes he hadn’t. But now, he’s even letting slip details about Star Wars movies that were never made, giving fans something new to complain about online. So not only do we learn that Luke would have died at the conclusion of the trilogy, but that Lucas was bullish on incorporating Leia being trained as a Jedi—something that happened in the extended universe—by her own brother. Of course, in reality, Disney took over, Kathleen Kennedy pretty much threw out everything Lucas suggested, and Episodes 7-9 went in a very different direction. So, yes, none of this really matters outside of a “What if?” thought experiment, but since idle speculation about Star Wars is the motor oil of the internet’s engine, this should keep it humming along until the next spoiler about J.J. Abrams’ script for Episode 9.